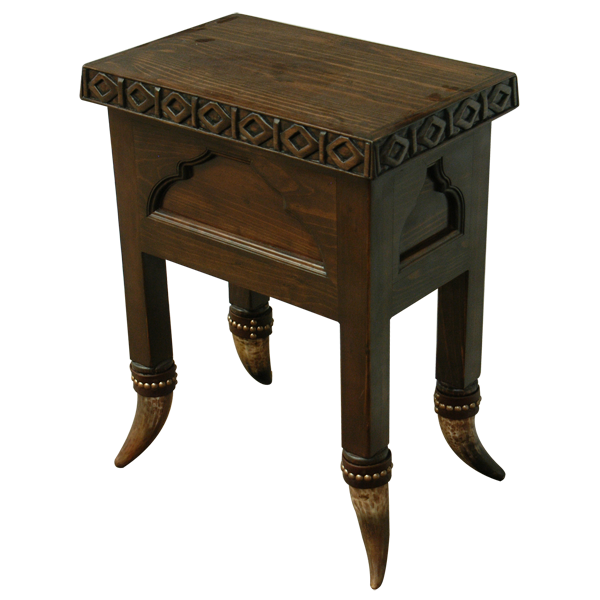 Enhance your Western décor with this sophisticated, Western style, handcrafted end table. 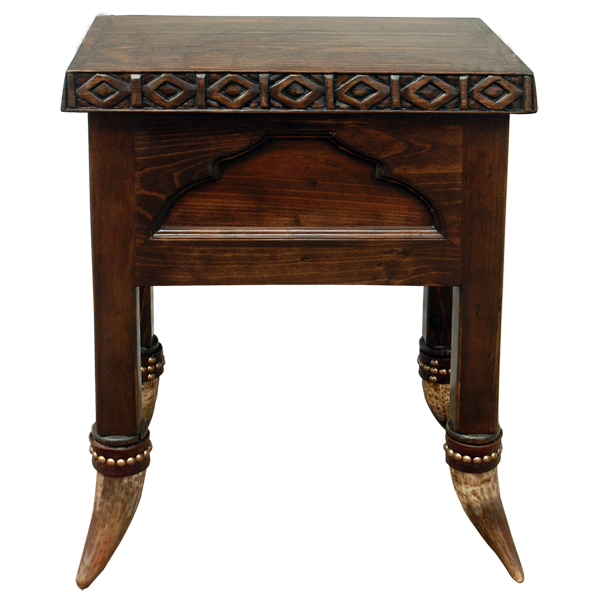 The end table has a lovely, dark stained, rectangular top, and the rim of the top is adorned with hand carved, geometrical designs. Below the top are front and side panels, embellished with a cut, arched shaped design. The end table is supported by real, inverted, steer horn feet, and each steer horn is secured by decorative, gilt nails. Both beautiful and durable, this end table is made with the best, sustainable, solid wood available, and it is 100% customizable.